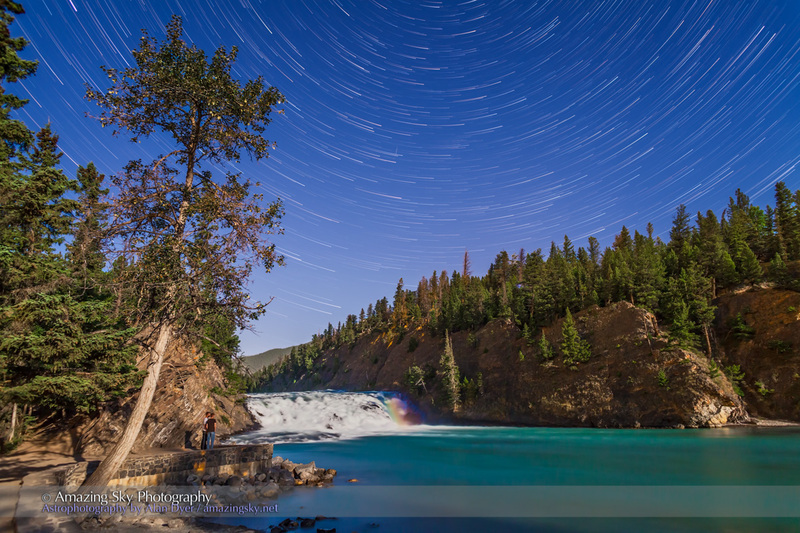 A small moonbow forms in the light of the full “super moon” at Bow Falls in Banff. This was Sunday night, August 10, on the night of the bright “super moon” that lit the landscape. In this case, I was at Bow Falls, a popular tourist spot in the townsite of Banff below the Banff Springs Hotel. 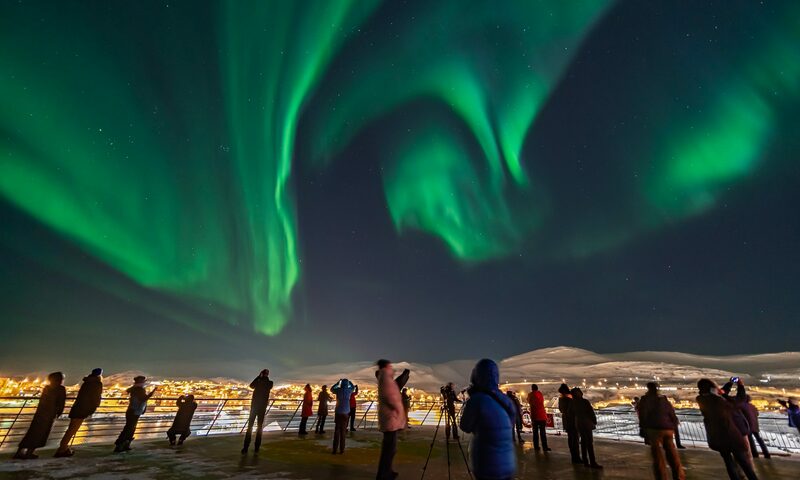 However, by night only a handful of people appeared, including two who stayed still long enough to record on one frame, above. The sky, however, is made of many frames, exposed over an hour to add the star trails. But the landscape is from one exposure, and includes a short arc of a moonbow, a rainbow created from moonlight. 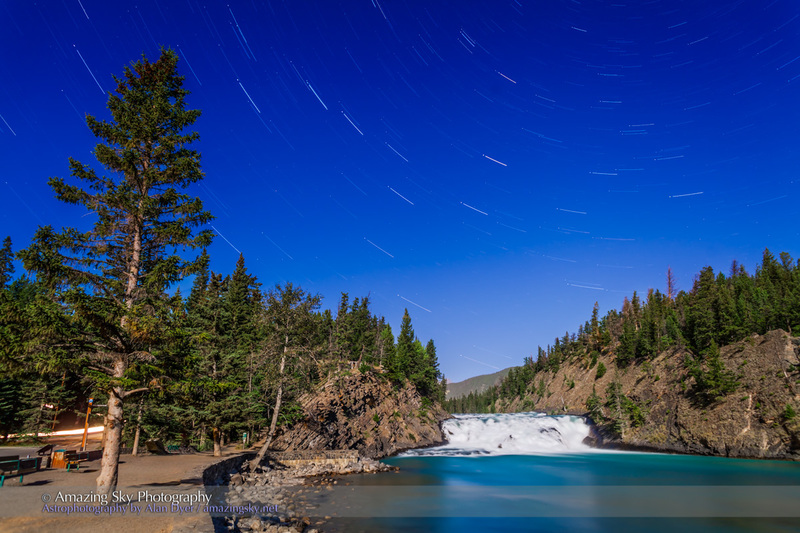 In an alternative version, sans moonbow, I shot one short and several long exposures to capture the stars of the Big Dipper streaking over the falls. These are two more examples of how magical the mountains are by moonlight. And how quiet the usually busy tourist spots are!